Romain Grosjean, like Hulkenberg a fine talent overlooked for too long, this season felt he had to roll the dice by joining the newbie Haas squad. And in the early rounds it looked a masterstroke as he scored in three of the first four. Benefitting from smart strategy Grosjean showed the range of his skills – such as by holding off faster rivals in Australia and then going on the attack in Bahrain. Once again we started to talk glowingly of the man who'd impressed us so much late in 2013, when he hinted that he could be one from the very top drawer. But after those early rounds it got a lot tougher. The team showed its inexperience by taking the best part of a season to resolve a brake problem (and effectiveness on the brakes is one of Grosjean's strengths) as well as fell into internal strife more generally for a time. Yet the suspicion lingered that perhaps Grosjean wasn't getting the best out of the situation, related at least in part to repeated radio complaints that – fairly or unfairly – gave the impression that he was better at pointing out problems than solving them. Still, his Suzuka weekend near the season's end reminded us of the talent that in large part is being wasted. 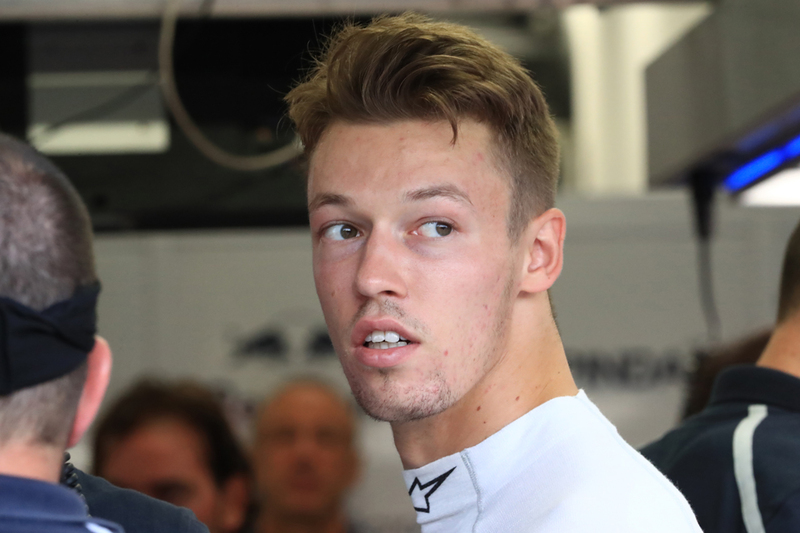 Daniil Kvyat's campaign for a good while was like one of those scenes of carnage that you felt you shouldn't look at but somehow couldn't quite avert your eyes from. Yet it ended as an extraordinary and highly unlikely tale of salvation. Dumped unceremoniously by the Red Bull big team after just four rounds to make way for the prodigious Max Verstappen (aided by that Kvyat was getting nowhere near Daniel Ricciardo), when back at Toro Rosso he appeared to be unravelling further. After Germany's qualifying he was so bewildered indeed that we feared genuinely for his well-being. But the turning point was only a day away as he put in a much improved race performance in Hockenheim, and followed that up with a decent if not necessarily spectacular latter part of the season. And somehow the arbitrary and not usually sympathetic Red Bull bosses – rather going against their modus operandi – not only kept patience but eventually kept faith, by retaining the Russian's services for 2017. They clearly see something in him but he's one of those who needs to widen his operating window. Jenson Button, just as he has for most of his career, for the majority of 2016 didn't give much if anything away to the very best. Even alongside a Fernando Alonso that raised his game Button for most of the year was rarely far from Alonso's lead and in Austria and Italy he was superb. Still by his own admission there was a slackening in the late rounds after announcing he wouldn't be racing next season, and being left off the back of the pack in Brazil, combined with his words out of the car, suggested he is another who has timed his retirement right. Kevin Magnussen received a late and unlikely reprieve to drive for Renault when Pastor Maldonado's cheques didn't clear, but even so he struggled this campaign to shake his ill-starred tendencies. In a car that was tardy arriving and was rather a lemon, combined with a new regime at the team that appeared to lose faith in its drivers at an early stage, Magnussen rather was on a hiding to nothing. He started the season well, culminating in seventh place in Russia. But then his form got desperate, and in time he fell behind his improving team mate Jolyon Palmer too – the Dane's fine Singapore drive was about the only subsequent high. Word gathered that his bosses thought Magnussen lazy and too crash-prone (a little like McLaren did), but later those same bosses came back to him rather cap in hand as other contenders for a 2017 Enstone gig fell away. By that time though Magnussen had resolved to leave, for Haas, where he'll hope to find a sympathetic environment to at last make good on his promise. In his sophomore year for Sauber Felipe Nasr showed again that there is a lot of the Carlos Reutemann about him, but most of the time not in a good way. Much of his campaign was dire, complaining variously about set-up, handling, brakes and the like, and just as with Lole it all seemed to impact his lap time and resolve much more than you suspect it should. But also like Lole on the rare occasions it all came together Nasr could be devastating, and we saw this not least with his fine drive in Brazil's rain, which got Sauber its vital only two points of the season. At the time of writing though it's doubtful as to whether the Swiss team will be grateful enough to keep Nasr on for another year. We know from the junior formulae that there's talent there with him but that two years on he's not showing signs of being able string everything together regularly, plus that more traumatically his sponsor money his dried up according to reports, means possibly his F1 days are done. Just as was the case for Magnussen for Jolyon Palmer the year at Renault was a trying one, and for loosely the same reasons. As Palmer has tended to do throughout his motorsport career he took a while to get up to pace in a new formula, and in the early rounds he indeed appeared rather out of his depth, with several crashes at Monaco the extreme low point. Then a better run in Hungary when he looked good to break his points duck was spoiled by a half-spin. From roughly Malaysia onwards, when he scored his only point, he started to do himself justice though. Ordinarily this would have been too late for a reprieve in merciless F1, and Palmer's eventual Renault retention for 2017 owed much to that there was no one else. It's up to him now to take advantage of that fortune. Pascal Wehrlein arrived in the sport with a big reputation, and to an extent lived up to it in 2016. He showed he was quick including via some fine efforts to get his Manor into Q2, which he managed on no fewer than five occasions and he got close a few other times too. He also was consistent both between and within races, was unafraid to mix it with other cars and didn't make a massive amount of errors (though there were some dotted around). And his fighting drive to a point in Austria, chasing down some haughty opponents late on, was his best of the bunch. 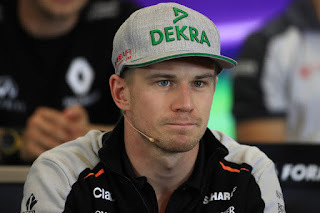 There wasn't much in the debit column, though he sometimes struggled with tyre temperature, didn't impress in the wet in Britain or Brazil while early in the campaign he was out-qualified by Rio Haryanto in the other Manor rather more often than anyone anticipated. Wehrlein clearly was miffed that Force India picked his end of season stable mate Esteban Ocon for 2017 over him, and it's not clear whether that owed to driving potential (perhaps teams knowing things we don't), his personality (which some saw as arrogant) or both. 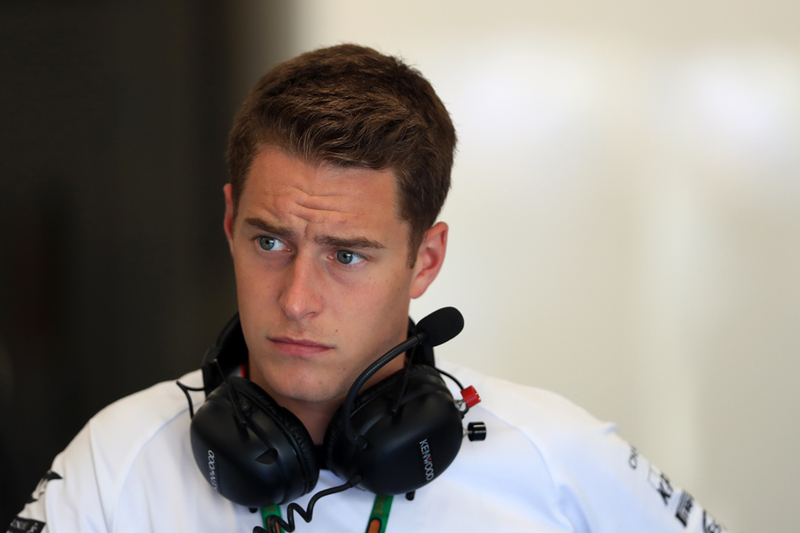 Stoffel Vandoorne made a one-off appearance for McLaren in Bahrain, flying from Japan at a moment's notice to replace the injured Fernando Alonso, literally only reading the user manual on the flight. Even so he showed plenty as to why he is rated as a future champion. While qualifying ahead of Button was down in part to Jenson underperforming Vandoorne's consistency, speed and polish in qualifying and the race was impressive, and he was rewarded with a point. Next year we'll see a lot more of him in a McLaren-Honda, which is something to be grateful for. Esteban Gutiérrez returned to a race seat after a year away, for Haas. Yet despite the new-ness of his debutant squad's surroundings the Mexican's time of it felt rather familiar – showing speed but also a maddening inability to string weekends together. It seemed strangely fitting that his two most promising qualifying results, Austria's and Italy's, were dashed immediately by fluffed race starts; perhaps that in the final round his team had to chivvy him along in the race as his pace tapered off was indicative too. Rather like with Nasr, we know from his peaks as well as from his formative years in motorsport that talent is kicking around in there, but the feeling by now is that he's had enough opportunities to show that he can produce it in an F1 car anything like consistently enough. 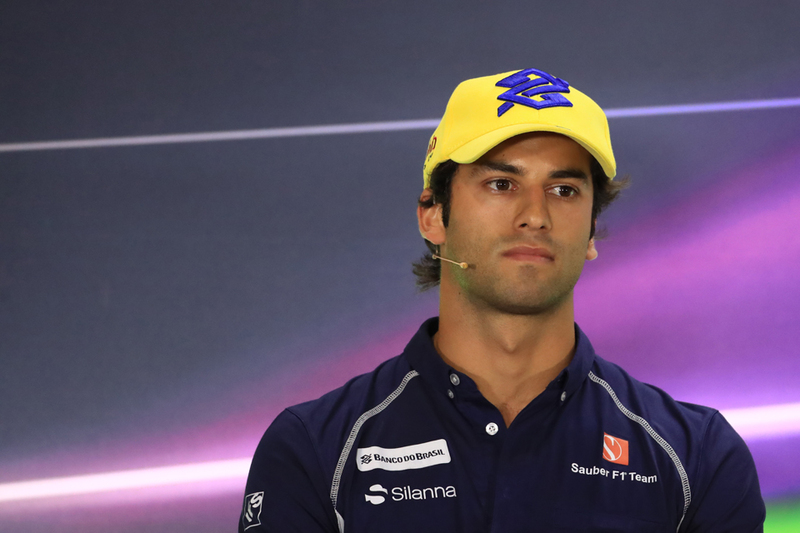 Rather like with Nasr it is unclear at the time of writing whether he'll get another chance. In 2016 Marcus Ericsson built a little further on the few bricks he'd assembled late last season. 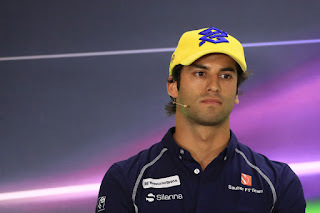 While his team mate Nasr scored the Sauber team's only points of the year Ericsson was the more impressive in general, often being ahead – and sometimes far ahead – on Saturdays and Sundays. His season started and ended well, with China and Spain early on, and USA and especially Mexico (where he came through to P11 after having his nose knocked off on lap one) late on, likely his best showings. He did experience however a conspicuous mid-season slump wherein he both struggled in qualifying as well as – in an old bugbear – didn't always keep his tyres together well enough in race stints. His links to the team's new ownership announced mid-season presumably guarantees his job security for the next while but he demonstrated this campaign that there may be more to him than that. After the summer break Manor offered us a direct comparison of two prodigious Mercedes young guns, by bringing in Esteban Ocon to partner Wehrlein. The young Frenchman settled in impressively and word was that he was the higher in the Mercedes pecking order, as may be evidenced by that it was Ocon rather than his German stable mate that was selected to get his break at Force India for next year. 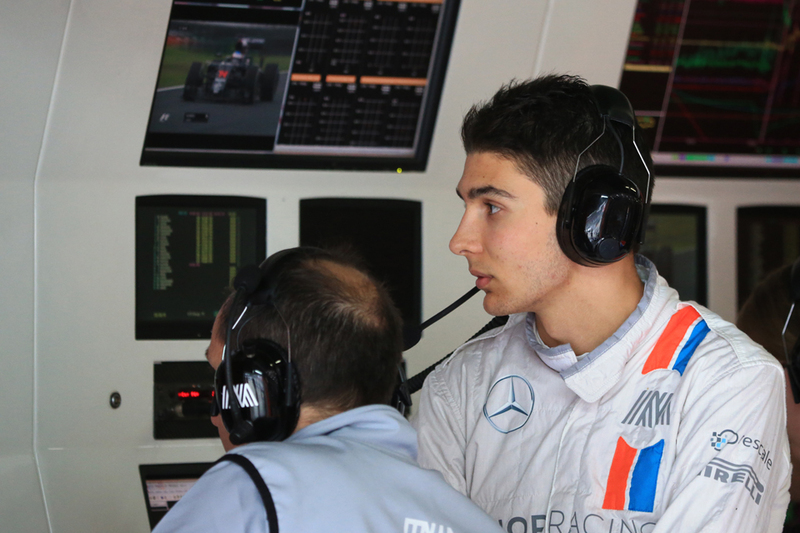 Ocon in his part-season did struggle to get qualifying laps together – possibly a consequence of coming in as a rookie mid-season – and indeed he only qualified ahead of Wehrlein twice in nine attempts. This tended to form the basis of the difference between the pair, and indeed in practice and race pace there often was little to tell. But perhaps what Ocon did in the Brazil rain underlined when he's so highly thought of, as then he left Wehrlein behind to the tune of 1.5 secs per lap, as well as battled in the points until the penultimate tour. He even managed to out-Alonso Fernando Alonso in Malaysia's opening corners. One to watch. And last but not necessarily least we have Rio Haryanto who did the year's first half for Manor. He arrived in the sport to some jeers, given it was assumed he was an archetypal pay driver. But he demonstrated in his time at the wheel, as he showed in junior formulae, that he is a competent pilot too. Indeed his qualifying match-up with Wehrlein, at 7-5 to the German, was more than respectable and while Haryanto never finished a race ahead that owed something to the Manor team often giving him guinea pig strategies. And that he lost his seat mid-season owed to his pay masters not coming up with the readies rather than any driving underperformance.